The return of the New Orleans Jazz & Heritage Festival to its first full seven days of programming since 2005 has inspired organizers to assemble the deepest overall mix in the 39-year history of the event. Dine with Donna Jean & the Tricksters and support a good cause! Donna Jean & the Tricksters CD release party, dinner and a Benefit for the Rex Foundation - Saturday, February 23, 2008 at The Knitting Factory. The 5th Annual Wakarusa is set for June 5-8 in Lawrence, Kanasas. 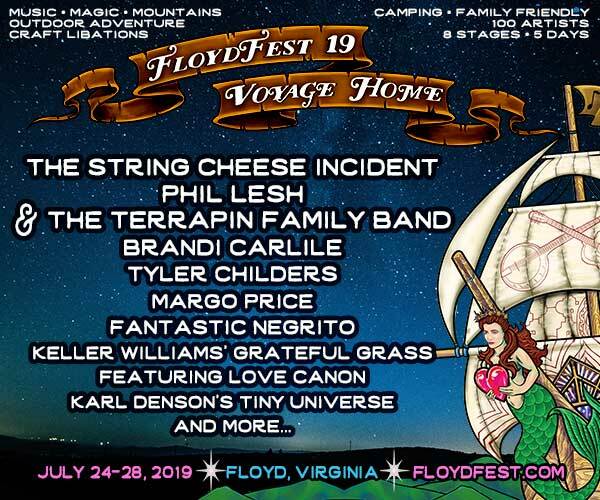 Initial artists include The Flaming Lips, Keller Williams, Cake, Galactic, Lotus, David Grisman and many more.